One complete price material and machining stamped per ASME requirements. 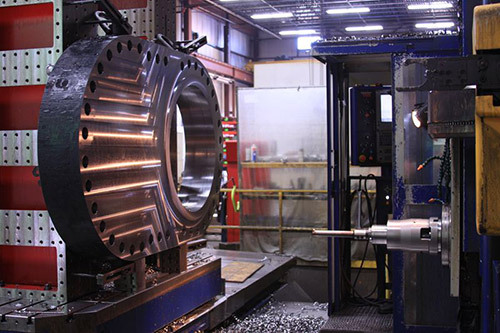 Horizontal turning is predominantly Mazak machinery capable of swinging 32″ with lengths up to 120″. CNC and Manual Boring Bar operations producing components to extremely tight tolerances. 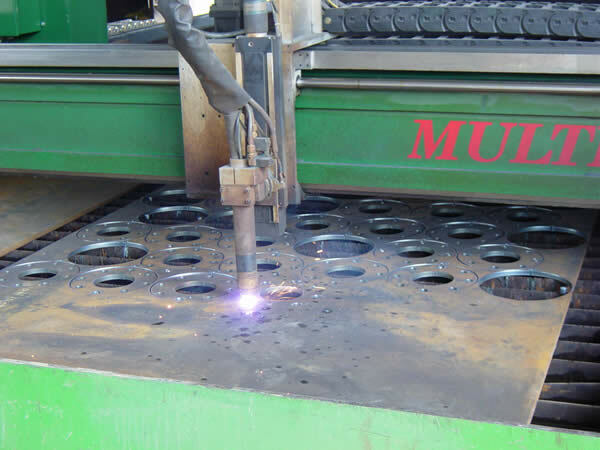 CNC High definition Plasma burning table, providing tight tolerance, high-definition cutting. 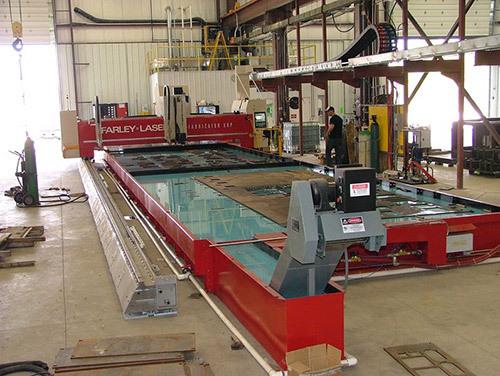 Part sizes up to 120″ wide x 480″ long can be cut on the CNC table up to 6″ thick. Water jet cutting per your drawing.